Earn a Profit with Titan Trade Forex Binary Options! Currency pair or Forex pair is an asset category that is constantly in motion. At Titan Trade, we recognize that our clients want to take part in the foreign exchange markets through Forex binary options trading. This is the reason why we provide a wide variety of Forex pairs, helping traders to take a view on movements in various economies across the globe. In a nutshell, Forex binary options are a method of trading that simplifies complex Forex market allowing traders and investors to reduce their exposure to volatile currency markets. It eradicates the complicated investment structure, allowing traders to capitalize on market movements. At Titan Trade, Forex binary options are binary options that use a currency pair as its asset. For instance, you can invest in an option with the underlying asset being the EUR/JPY. While binary options in general involve an array of asset types, Forex binary options on the other hand focus on currency pairings. The basic principle behind Forex binary options trading is that an investor makes a prediction that the value of one currency will rise or fall in value in comparison to another currency. Just like trading binary options, the trader is taking a view on a particular currency pair through executing a Call option (if the value will rise), or Put option (if the value will fall). Moreover, if traders are keeping a close eye on sudden market movements, they will likely be aware of the economic strength of certain countries. The knowledge acquired will assist them in understanding how currencies impact each other and help to enhance their chances of experiencing significant returns. Earning a profit with Titan Trade Forex binary options trading is simple and very lucrative, and we will give you all the information you need to know about Forex trading. We provide you with an exhaustive binary options education center designed for you to learn the best and most effective strategies for trading Forex binary options. Should you need further assistance, our friendly and highly-trained support staff is on hand to answer your questions and clear your doubts. Begin Forex binary options trading today! 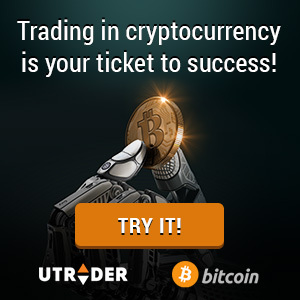 Click here to open your free trading account. Our simple and effective Titan Trade trading platform showcases a wide range of Titan Trade Forex pair options, including the majors such as EUR/USD, USD/JPY, USD/CAD and AUD/USD; exotic pairs like USD/NZD, USD/NOK and USD/ZAR; and cross currency pairs such as EUR/GBP, GBP/JPY and EUR/CHF. All of these currency pairs reflect some of the most popular currencies being traded throughout the world. Like in most binary options trades, identifying which currency pair delivers substantial returns can take time. Each economy is unique, and each currency pair would behave differently when they are encountered with one and another. Having sufficient knowledge of your chosen pair and how currencies are influenced by global economic events is the key to achieve success. The more informed you are, the quicker you will be able to experience the rewards. Start trading Forex binary options!